If you need something special to decorate your home, this stone slab art might be the perfect item. Every slab is made from all-natural ressources that are bound together with resin, giving them the look and feel of real stone. The artwork is printed on a 25x20cm slab with a direct transfer method and a matte finish, ensuring a long life-time and brilliant colours. 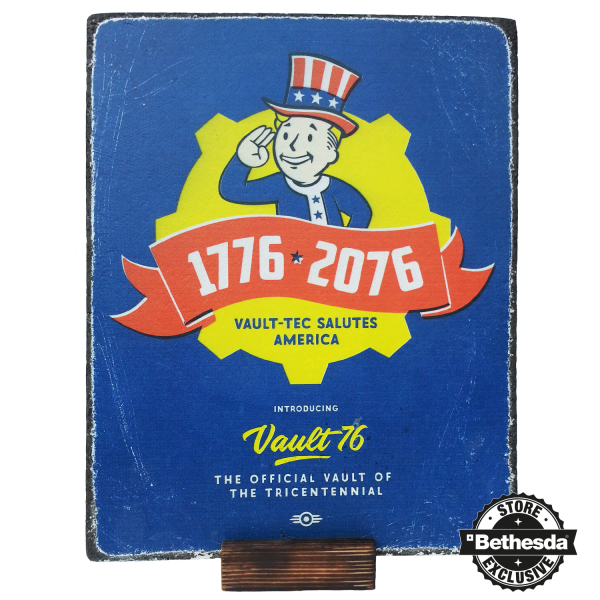 This slab is a Bethesda Store Europe exclusive and limited to 76 pieces worldwide, with each item numbered by hand. Manufactured by Dark Warehouse.